​Liverpool superstar and joint Premier League top scorer Mohamed Salah has emerged as the subject of bizarre transfer gossip after being linked with a seismic move to Juventus. 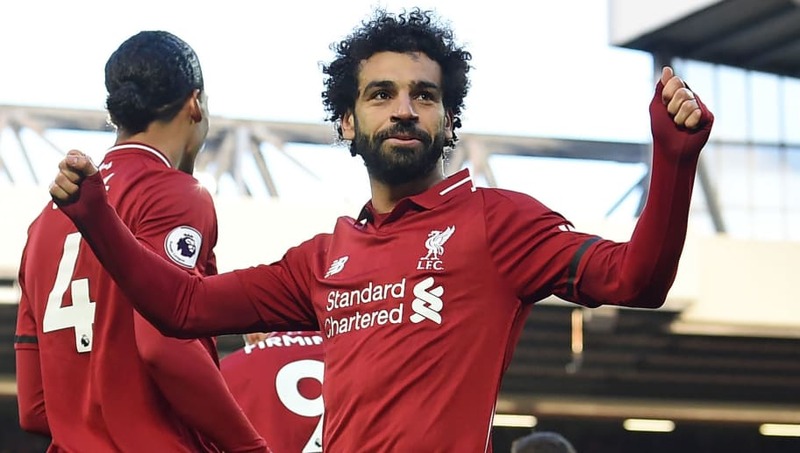 Salah scored his 64th goal for Liverpool over the weekend as the Reds maintained their Premier League title challenge by beating Bournemouth at Anfield. The Egyptian icon has been at the club for less than two years, yet his reputation as one of the world's best attacking players means that transfer speculation will never be too far away. Now, a Sky News Arabia report alleges that Juve forward Cristiano Ronaldo is involved after giving the 'green light' to club officials to begin the process of trying to get Salah to the club. The depth to the outlandish story continues with notorious rumour mongers Don Balon claiming that room could be made at the club if Juve dispense with the services of Paulo Dybala, given that his shining star has been somewhat dulled since Ronaldo's arrival in Turin. Given the possible 'threat' of Dybala leaving, Don Balon claim that Salah has been identified and 'approved' as a replacement for the Argentine, who has played wide for much of this season and seen his goal tally dramatically fall, potentially costing 'close to €200m' (£175m). Sky News Arabia actually estimates an even greater fee that 'could exceed €200m', seemingly stopping just shy of the world record €222m that Paris Saint-Germain paid for Neymar in 2017. But while Liverpool fans may be concerned that Salah could be prised away as former Kop hero Luis Suarez was in 2014, Don Balon further alleges that Juve also have an a back up target on their radar in the shape of Real Madrid winger Marco Asensio. Whether either of the reports are remotely accurate, of course, remains to be seen - though don't be surprised if it turns out to be nothing more than hyperbole.